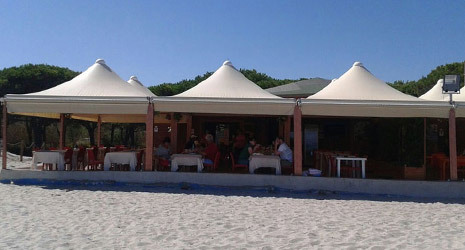 In addition to the services that you will find inside the Residence Sa Playa - Domus Budoni 1 and found listed below, there is a restaurant on the beach (open from May to September) and an outdoor bar with tables always on the beach. Below the images. Check-in times: key collection on day of arrival: from 17:00 to 20:00 (please notify us of any late arrivals; arrivals out of hours that are not specified will be checked-in the next day). Check-out times: key return by 10:00. With early morning arrivals, key collection and check-in are available only after the cleaning of the room after the previous guests. Optional services to be confirmed at the time of booking, but payable en situ: Bed linen and towels €20 per person per change, air conditioning €60 per apartment per week. Deposit: €200 will be requested upon arrival as a deposit per apartment, payable only in cash. This will be returned upon check-out, as long as no damages have been sustained. 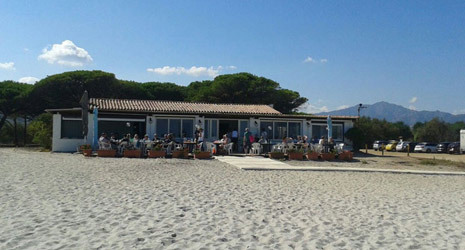 In the beach area reserved to the Residence, one beach umbrella and sunbed are available per apartment for a small fee. In Budoni it is possible to find many kinds of restaurants, pizzerias, a pharmacy, discoteques, pubs and other shops. The Residence is 2 km from the medical center, 10 km from the mooring post. To check the availability of apartments and book your Holidays Click HERE .